Yet here our Lord is quoting the 22nd Psalm, not as a quotation but as his own experience. Before now he always referred to God as Father, but here this awareness has gone – the relationship broken. He can only refer to him as God. Here is mystery indeed! How is it that the Beloved is abandoned? He has taken upon himself with our evil and sins, and when he is thus clothed the Father can do nothing but turn his back in wrath and judgment. In considering this beforehand our Lord had sweat drops of blood (Luke 22:44), such was the terror in his heart. And his desolation and abandonment means that in Christ we will never be abandoned. God has every reason to be angry with us because of our constant rebellion and evil, but His righteous wrath against our sin has been shown on the cross. He will not judge us twice. As we have been judged once in Christ, we are now accepted in Christ. As he was clothed with our unrighteousness on the cross, so we are clothed with his righteousness. What hope there is in this one phrase of wretched anguish! Who was in control? Was it the High Priest and the Sanhedrin? Was it Pontius Pilate? Was it the Devil? Although they and the entire world thought that they were having their own way, we are reminded in Jesus’ words that this was God’s own plan. The Apostles understood this later when they prayed : for truly in this city there were gathered together against your holy servant Jesus, whom you anointed, both Herod and Pontius Pilate, along with the Gentiles and the peoples of Israel, to do whatever your hand and your plan had predestined to take place. (Acts 4:27-28 ESV) As Jesus was nearing his last breath he still had his mind on the Father’s plan. And the one who before had told the Scribes and Pharisees that the Scriptures bore witness to him (John 5:39), now makes sure that not one word falls unfulfilled. That which David was offered in metaphor, (Psalm 69:19 – 21) Jesus is offered in fact. Not one detail of the Father’s plan was forgotten. 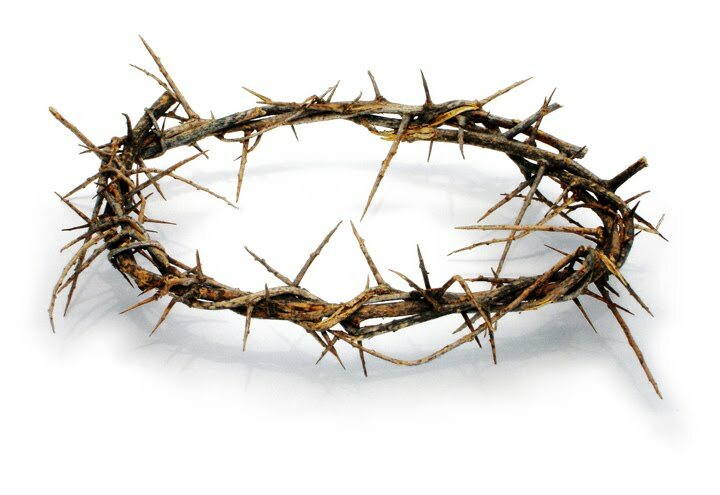 Here was One who became obedient to the point of death (Philippians 2:6 – 8). What comforts lie in this one word of Jesus! He came to the world to do his Father’s will and accomplish the work God gave him to do. (John 4:34) He “came not to be served but to serve, and to give his life as a ransom for many." (Mathew20:28) He came “to seek and to save the lost.” (Luke 19:10) This was now accomplished. The price of the ransom paid, the debt of sin cancelled, the wrath of God spent, the love of God fulfilled. It is said that when the carpenter finished his day’s work, he took his apron, folded it neatly and laid it on one side. When Peter and the beloved disciple went to the empty grave a few days later and saw the linen cloths in which the Lord’s body had been wrapped lying there, they saw the face cloth, which had been on Jesus' head, not lying with the linen cloths but folded up in a place by itself. (John 20:7) Is it fanciful to surmise that here was another sign of the finished, the completed work of the Saviour? Genesis tells us that for six days God worked at creation, and on the seventh he rested. So for six of our Lord’s sayings on the cross he has been at work, fulfilling all that the Father asked of him. Here in the seventh and last saying, he enters into his rest. Where is rest found? In the arms of the Father – the same Father who had recently poured out his wrath and displeasure on him. This is not the sigh of a defeated broken man who is giving in. Luke tells us that Jesus called out these words with a loud voice. It is the victory cry of a conquering hero coming home. And the heavens rang out with the reply of Psalm 110 - The LORD says to my Lord: "Sit at my right hand, until I make your enemies your footstool." Confidently Jesus committed his spirit into his Father’s hands, as the relationship between them was restored. He again knew the smile of God which he had enjoyed from all eternity. Is it right to say that there was greater joy now? We take care in not confining God to the limitations of time. But Scripture tells us that Jesus “for the joy that was set before him endured the cross, despising the shame, and is seated at the right hand of the throne of God. (Hebrews 12:2 ESV) We leave the cross looking forward to the resurrection on the third day.